…I can relate and understand. Though, I’ve learned too many calories from dog treats add up and pack on the pounds. This happened to our beagle, Rocky. Rationally, weight gain from too many calories makes sense. But watching calories for dogs? It was a new idea to me at the time. This was a lesson I learned from a vet earlier on in Rocky’s life. When I met Matt (now my husband), he supported my desire to help Rocky get more fit. Rocky has since trimmed down and he celebrated 12 years of age this past summer. His weight still fluctuates a little. 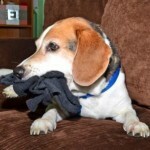 But Matt and I have a better understanding on how to help him and our other precious beagle, Daisey. One way to maintain a healthy weight for your dog is to watch how many treats your doggy gets. I know it’s a bit challenging to hold back on giving treats. After all, you just want to pamper this amazing new doggy that’s now part of your life! But being aware of how much food and treats your dog gets is wise. 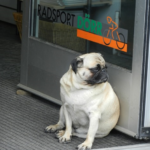 Too many treats and you run the risk of dog obesity. It’s a serious matter. A healthy weight is crucial for the well-being of your doggy. When your pet maintains a healthy weight, you reduce the risk of disease and injury, and increase the chance your dog lives longer. That’s why it’s important to watch how many treats and calories your pet receives. 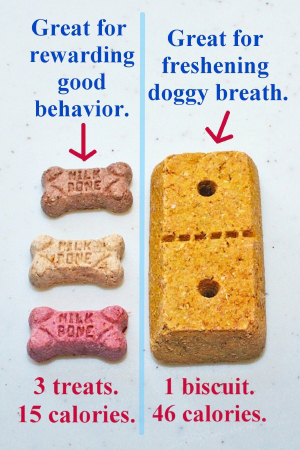 It’s also why I like this solution: Milk-Bone Mini’s dog snacks. 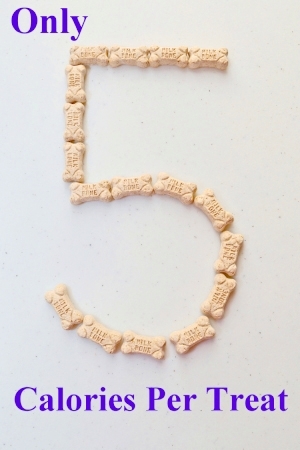 There’s only five calories per dog treat. The treats, referred to as “mini’s” are indeed small. They’re definitely tiny. But they’re still good for dogs of all sizes. In this photo, I compare the Milk-Bone Mini’s to the Walmart store brand, Ol’ Roy Fresh Breath biscuits. Now, I love the Ol’ Roy Fresh Breath biscuits for different reasons. It’s a fantastic doggy breath freshener. But with 46 calories per treat, it’s not something we give our beagles every day. Whereas, you could give your doggy three Milk-Bone Mini’s and that’s only 15 calories. I must admit though, when I first saw how tiny these treats were I wasn’t sure if Rocky and Daisey would approve. But they do. They’re very happy beagles when they get these treats. 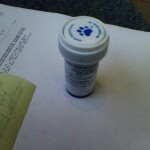 Want an easier way to monitor the amount of treat calories your dog is getting. Want to use treats as a tool to train your dog and reward him or her for good behavior. Want an affordable dog treat that will last a while — even if your doggy is getting a number of treats each day. How affordable are these treats? One box cost me $2.99 here in Canada and it stated there were over 300 treats in it. It was true. I counted 358 biscuits. That’s less than a penny per treat! 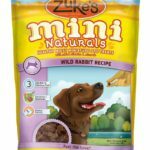 I did a search for American pricing at Walmart.com using the keywords, “Milk-Bone Mini’s” and I found it costs $2.98 per box. There are less treats in the box though. The packaging states more than 200 treats. That still works out to less than two cents per treat, keeping it an amazing value. Depending on how many treats you give each day, or how many dogs you have, a single box could last about two months. I’ve found two types of Milk-Bone Mini’s. One appears to be all chicken-flavor (the packaging with the beagle image). The other has three flavors — beef, chicken, and bacon. 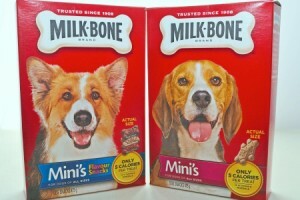 Both packages state the Milk-Bone Mini’s have 12 vitamins and minerals added. Whenever vitamins and minerals are added, I feel like I’m doing good for the health of our beagles. So, I think either Milk-Bone Mini’s product is a great choice. If you give the Milk-Bone Mini’s a try, I hope you find, as we have, it’s a good weight-conscious treat that your doggy will just love. Catherine OKeefe publishes examples of Goodness in our World, Ontario Pet Travel and Day Trips, and Creative Living (such as photo and craft ideas) at www.SprinkleGoodness.com because she wants to use her skill as a writer and photographer to help people. Catherine’s mom said her life is like “101 Dalmatians” except it doesn’t involve Dalmatians or Cruella – it involves beagles! Catherine had a boy beagle Rocky. Matt had a girl beagle Daisey. Through doggy walks, Matt and Catherine got to know each other and married in 2008.